Part of a regimen for dealing with Type 2 Diabetes is daily exercise. Just as we saw that Srila Prabhupada would take walks to help mediate his condition, my wife Vidya also exercises regularly. Most days she drives into Moundsville to the Four Seasons swimming pool, carpooling with Kelly, and swims 1.5 miles (2.4 K). When I have some errands to run in town, like making my weekly pilgrimage to Big Lots to see if any organic stuff has shown up on the shelves or getting parts, whatever, I go in with her on the days it is her turn to drive and use the vehicle to run around in while she is swimming. I route and schedule myself so I end up back at the swimming pool when they are ready to leave, doing the mission critical errands first and then the optional ones. 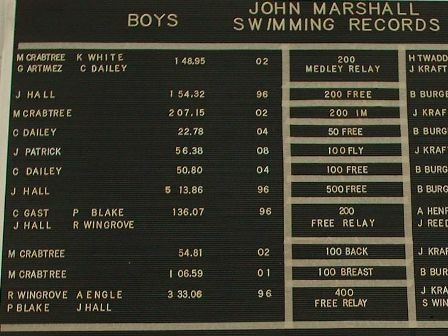 Sometimes I get back a little early, and one day i happened to look up at the pool Swimming Records board. I used to see the name Suddha Graves up there. He set a couple of records back around 1996. This time I noticed his name was gone, replaced in 2008 in the 100 meter Fly category. He used to be on the board in two places, and one of them was also a state record as I remember. I believe he was captain of the swimming team. Another point of interest to me on the board is C Daily. I used to coach a lot of the high school soccer players in a spring league, and he was on my team a few times. That was when Tulasi was playing. Suddha is a New Vrindaban gurukuli, son of Soma, and former teammate of mine on a roller hockey team we had one year in a local league in the early 90s. 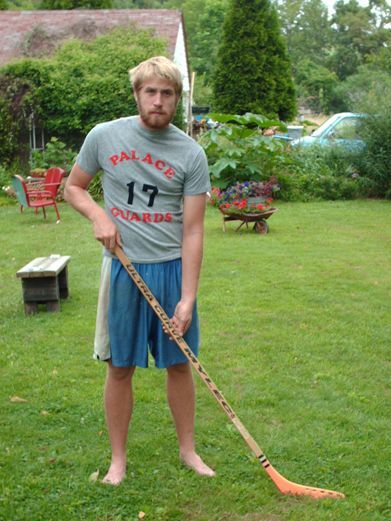 Our team was called the Palace Guards. Here is Tulasi modeling my team T shirt. Members of the team as I recollect were Soma and Suddha, Cakravarti (German) and his son Hari Kirtana, Murti (Canadian), Deet, Venu, Bhagavan (Bhokta’s son), and myself, as best as I can remember. Corrections requested if someone remembers differently. It was an eight team league. After we lost our first game 15-3, and our second 17-2, we started to think it might have been a mistake, but we stuck with it. The idea of playing was two fold — it was a mix of teens and adults so it was a positive outlet for teen energy, and also to help overcome the bad image devotees had in the local community at that time. Winning wasn’t essential to achieve those goals. As we hadn’t played together before, and had no practices, we didn’t start to gel until the third game, winning it. Soma had played in high school so was the coach and rock at defense and Murti also had some experience and was the goalie so that kept us in games. We ended up winning 5 games in a row and were in third place by season’s end with a 5-2 record. Seeded third in the tournament, we won our first game and then faced the team that had beaten us 15-3. We all played like mad men and ended up winning, placing us into the championship game. There we played the team that beat us 17-3. Krishna showed us His mercy in that one so we didn’t get puffed up. They ran up a ten goal lead and then played keep away so we lost but still not a bad season, 3rd in league play and 2nd in the tournament, for a rag tag bunch of devotees, most who had never played before. Unknown, Vidya, Sudakari (? ), Parayana, Kirtanananda, Basket lady, Unknown, Vajresvari. This is a picture of jagannath on a cart that may or may not be a Ratha Yatra. It might be a trip between farms when He moved. Our (Vidya and me) best guess is it is from 1973, though 74 or 75 are possibilities. Anybody have any ideas or guesses? 1) The Indian gurukula system. 2) The Indian agriculture system. The then Governor of British India Robert Clive made an extensive research on the agriculture system in India. 1) Cows were the basis of Indian agriculture and agriculture in India cannot be executed without the help of cow. 2) To break the Backbone of Indian agriculture cows had to be eliminated. The first slaughterhouse in India was started in 1760, with a capacity to kill 30,000 (Thirty thousand only) per day, at least one crore cows were eliminated in an years time. He estimated that the number of cows in Bengal outnumbered the number of men. Similar was the situation in the rest of India. As a part of the Master plan to destabilize the India, cow slaughter was initiated. Once the cows were slaughtered, then there was no manure and there is no insecticide like cow urine. Robert Clive started a number of slaughter houses before he left India. In 1740 in the Arcot District of Tamil Nadu, 54 Quintals of rice was harvested from one acre of land using simple manure and pesticides like cow urine and cow dung. and phosphate made way to India. After India attained independence in the name of “Green Revolution” there was extensive use of industrial manure. Before British left India. The daily news paper Guardian interviewed India. To one of the questions Gandhiji answered, that the day India attains Independence, all the slaughter houses in India would be closed. In 1929 Nehru in a public meeting stated that if he were to become the prime minister of India, the first thing he would do is to stop all the slaughterhouses. The tragedy of the situation is since 1947 the number has increased from350 to 36,000(thirty six thousand) slaughter houses. Today, the highly mechanized slaughterhouses Al-kabir and Devanar of Andhra Pradesh and Maharastra has the capacity to slaughter 10,000(ten thousand) cows at a time. It’s a warning signal to one and all in India to rise to the occasion!!! Prabhupada: But actually is there any bird called thunderbird? Jagadisa: It’s a legendary bird from Indian legend. American Indian. 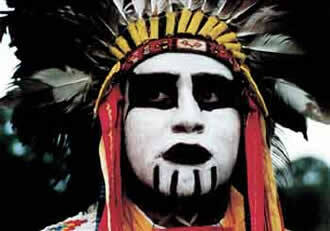 Brahmananda: Of the American Indians, the red Indians. Sometimes their chiefs are called Chief Thunderbird. It’s a popular name for their chiefs. Prabhupada: Oh. Oh. We have got an idea of thunderbird. The bird flies in the, near the cloud in expectation of water, and they are not afraid of thunder. That is called cataka. That example is given by Rupa Gosvami. The cataka does not take water from ground. They will take water when it falls from the cloud. So in the beginning of every cloud there is thunder. So this bird, because they expecting water from the cloud, the cloud is giving him thunder, but still he does not, will not take water from ground. Dhira Krsna: In what connection do the Gosvamis use that example to illustrate? 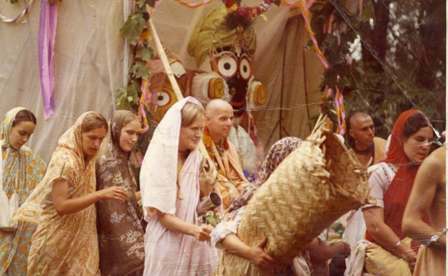 Prabhupada: Example means a devotee will take mercy from Krsna, not from the material world. Even there is thunder, Krsna does not give mercy but puts him into difficulty, still, he will not take any mercy from the material world. Sometimes thunder claps, sometimes it rumbles. Claps tend to be 0.2- to 2-second-long cracks that accompany close lightning. Lightning that occurs farther away tends to produce rumbles, rather than claps. This is because higher frequencies tend to be more rapidly absorbed by the surrounding environment, while the lower frequency waves sometimes travel distances of 10 to 15 miles (even 25 miles under the right conditions). These long-distance travelers can come from different parts of the lightning bolt, bounce against terrain and buildings, or be refracted by temperature variations in the atmosphere, resulting in a myriad of sound waves reaching an observer’s ears at different times. When this happens from repeated lightning bolts from one storm, and other storms chime in, you can wind up with rumbling, or rolling, thunder. Regardless of whether lightning is positive or negative, thunder is produced the same way. Thunder is the acoustic shock wave resulting from the extreme heat generated by a lightning flash. Lightning can be as hot as 54,000°F, a temperature that is five times the surface of the sun! When lightning occurs, it heats the air surrounding its channel to that same incredible temperature in a fraction of a second. Like all gases, when air molecules are heated, they expand. The faster they are heated, the faster their rate of expansion. But when air is heated to 54,000°F in a fraction of a second, a phenomenon known as “explosive expansion” occurs. This is where air expands so rapidly that it compresses the air in front of it, forming a shock wave similar to a sonic boon addition, the temperature of the atmosphere affects the thunder sound you hear as well as how far away you can hear it. Sound waves move faster in warm air than they do in cool air. Typically, the air temperature decreases with height. When this occurs, thunder will normally have an audible range up to 10 miles. However, when the air temperature increases with height, called an inversion, sound waves are refracted (bent back toward the earth) as they move due to their faster motion in the warmer air. Normally, only the direct sound of thunder is heard. But refraction can add some additional sound, effectively amplifying the thunder and making it sound louder. This is more common in the winter as thunderstorms develop in the warm air above a cooler surface air mass. If the lightning in these “elevated thunderstorms” remains above the inversion, then most of the thunder sound also remains above the inversion. However, much of the sound waves from cloud-to-ground strikes remain below the inversion giving thunder a much louder impact. After having dug to a depth of 10 feet last year, New York archaeologists found traces of copper wire dating back 100 years and came to the conclusion that their ancestors already had a telephone network more than 100 years ago. With gas prices on the rise, I thought I’d highlight a recent article from Consumer Reports on ways to save on gas — and ways not to. Given the results of my recent experiment on improving gas mileage, I can vouch for pretty much all of these. 1. Drive at a moderate speed. Keeping a lid on your speed is the #1 thing you can do to improve mileage. In their test car (a Toyota Camry), CR estimated that mileage dropped from 40 mpg to 35 mpg when they increased cruising speed from 55 mph to 65 mph. Speeding up to 75 mph dropped mileage another 5 mpg. While the extent of the drop will vary across makes and models, keeping an eye on the speedometer, especially when driving on the highway, will save gas. 2. Drive smoothly. Avoid rapid acceleration and hard braking. Once up to speed, try to maintain a steady pace. Jackrabbit starts burn excess gas, and unnecessary braking just converts energy gained from burning gas into heat (and it wears out your brakes). 3. Reduce unnecessary drag. Even empty roof racks can reduce mileage. Try to keep your luggage inside your vehicle, and if you’re not using your roof rack, remove it. 4. Don’t use premium fuel if you don’t need to. If your car is designed to run on regular unleaded, putting in premium won’t help. Using premium won’t hurt, but you’ll be spending an extra $0.20 per gallon for no reason. 6. Keep tires properly inflated. Underinflated tires can cause a number of problems, not the least of which is reduced gas mileage. 7. Buy tires with lower rolling resistance. Less friction = less wasted energy, which translates into more miles per gallon. Believe it or not, this can account for a 1-2 mpg difference. 8. Avoid idling for long periods. If you’re burning gas, but not going anywhere, you’re getting zero mpg. 1. Morning fill-ups. I’ve heard on more than one occasion that you should buy gas in the morning because it’s cooler, and the gas will be denser. The argument goes that this will result in more gas for your money. Problem is, it’s not true. Gas is stored underground, and the temperature barely changes at all over the course of the day. 2. Air conditioning vs. opening windows. While air conditioning can reduce your mileage, so does opening the windows. But in their tests, CR concluded that both effect were negligible. Note, however, that this testing was done at highway cruising speeds. I suspect that air condition might have a larger effect in stop and go traffic. 3. A dirty air filter. A popular recommendation at oil change places is to replace your air filter since a dirty filter supposedly reduces mileage. That being said, CR’s results indicated that, unlike the case with older cars, the mileage of newer models is unaffected by a dirty filter. The reason for this is that modern engines can compensate for a dirty filter and keep the air/fuel ratio constant. About accelerating — the trucker’s adage is accelerate as if there were an egg between your foot and the gas pedal. Anticipating traffic light changes in light traffic can increase mileage. Brake before you have to and creep up to the light so you are still rolling instead of driving up and then braking to a stop helps a lot. Don’t press down harder on the gas pedal going up hills, let the speed slow down. If you accelerate to the top, you are just going to use the brakes on the downside anyway. Approaching the hilltop slowly, you can let it ride downhill with minimal braking. Drive to avoid braking as much as possible to do safely. Braking wastes gas. Take it easy and anticipate. Use rises and hills for braking when needed. “Prabhupada: Practically that is real silence. If you simply engage yourself in activities of Krsna consciousness, then automatically your activities in maya become silent. Just like the same example I have given. Here is a glass. If you want to fill up with milk, the water will go automatically. You have to throw away the water. You cannot put the water and the milk at the same time in this glass. “If there is no silence beyond and within the words of doctrine, there is no religion, only religious ideology. For religion goes beyond words and actions, and attains to the ultimate truth in silence. When this silence is lacking, where there are only the “many words” and not the One Word, then there is much bustle and activity, but no peace, no deep thought, no understanding, no inner quiet. Where there is no peace, there is no light.